We had many great applicants for the Caitlan Wallace Memorial Scholarship. 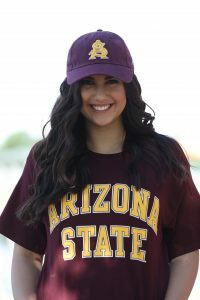 We are very proud to be announcing the winner of the Caitlan Wallace Memorial Scholarship, Samantha Martinez of Arizona State University. The scholarship will be again available in 2018-2019, the details will follow soon. Congratulations to Samantha on winning the scholarship this year . We are happy to be able and honor the memory of Caitlan and bring something positive out of the tragedy of her passing. We look forward to next years Scholarship and we will be increasing the amount.